This past year I lost a number of lights in my life. It seems 2016 was a tough year for many. For me, I have been working on just taking each day at a time and doing what often feels like the best I can. On some days it feels like I am even “faking it til I make it!” This has never been so true as this semester. This was my first full semester without Susan. I have known for a while how much I loved her and learned from her and that she was one of my best friends and colleagues. However, I was not truly aware of the impact she had on my daily AND academic life. Susan was always first in. She literally and figuratively lit the hallways when she came in. She warmed up the copier and taught all of her classes before I ever arrived. Even though I typically teach at night, I always came in early so we could overlap office hours and have our chats. I miss talking with my friend most. She loved to talk about everything from the latest episode of Revenge, to football rivalries, to our academic work or aspirations. 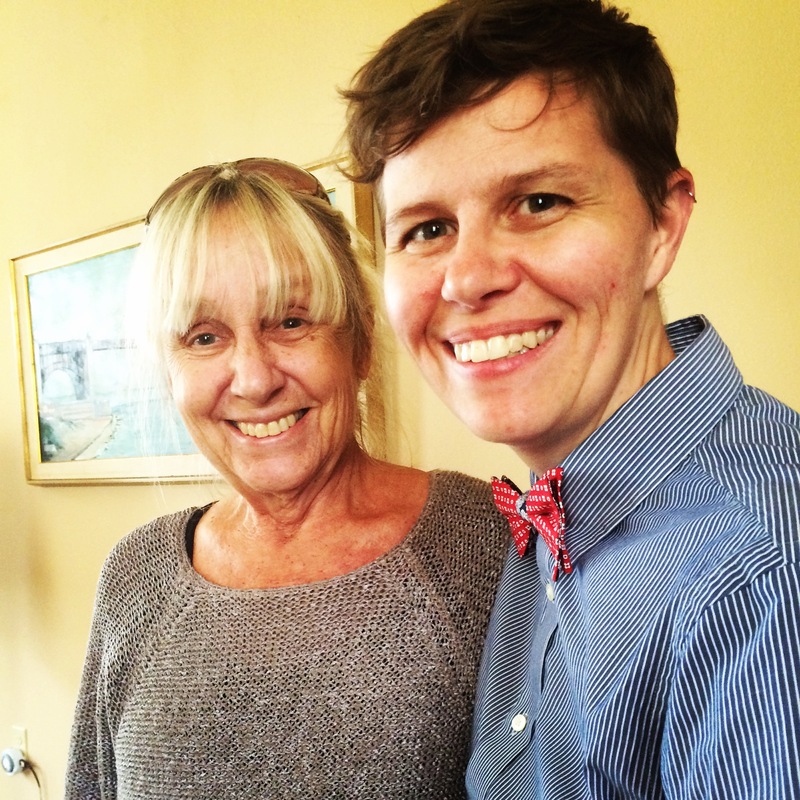 She was a great mentor to my work and my parenting skills–and the balancing of it all. I can’t thank her enough for this and for all of the wisdom I still gain from knowing her. So often I still talk to her and I know what she would say back…and it helps. I wont go on too much more. Ill just sign this off with saying I really hate being the first to turn on the lights each day I walk into work. Susan Archer Mann, beloved mentor, dear friend, and Professor of Sociology at University of New Orleans, died on April 8th, 2016, after several years’ struggle with breast cancer. Susan received her B.A. in Sociology from the University of Maryland in 1972, her M.A. in Sociology from American University in 1975, and her Ph.D. in Sociology from the University of Toronto in 1982. She spent more than three decades actively writing, teaching, and mentoring at the University of New Orleans, a place she came to love, doing the work that so engaged her passions and intellect even as she suffered from her illness. In her early work, Susan attempted to explain the uneven conversion of agricultural production to a capitalist wage-labor system. She and James Dickinson laid out the arguments that became known as the Mann-Dickinson Thesis, positing that intrinsic features of agricultural production made it relatively risky and unattractive to capital. Susan later applied this theory to explain U.S. farm labor in her 1990 book Agrarian Capitalism in Theory and Practice (University of North Carolina Press, 1990). 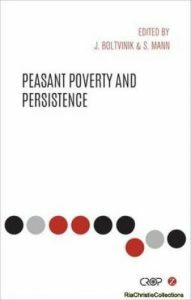 Her final book, Peasant Poverty and Persistence in the 21st Century: Theories, Debates, Realities, and Policies, co-edited with Julio Boltvinik (Zed Books, 2016), offers new theoretical and historical perspectives on the continued existence of peasant agriculture and its links to global poverty. Susan extended her theoretical insights to domestic labor and its ramifications on family life and the social position of women in a chapter, co-authored with Emily Blumenfeld, in Hidden in the Household: Women’s Domestic Labour under Capitalism (Women’s Education Press, 1980, edited by Bonnie Fox). Her Marxist-based theoretical contributions to our understanding of production (in agriculture) and reproduction (of labor power through the family) complemented one another and laid the foundation for her later feminist theory work. Susan found her political groundings and activist interests in Marxist feminisms of the 1970s and feminist theories of the so-called second wave, but she never ceased to be fascinated and energized by the schools of thought that emerged subsequent to her own training. She immersed herself in theories of the third wave, intersectionality, queer theory, postmodernist and poststructuralist feminisms, and transnational feminisms, publishing on the connections and innovations in theory across decades in Science and Society, Sociological Inquiry, Journal of Feminist Scholarship, and a co-authored special issue of Race, Gender, and Class. Her 2012 book, Doing Feminist Theory: From Modernity to Postmodernity (Oxford University Press), constitutes an exhaustive yet digestible compilation of feminist theories, criticisms, and counter-criticisms, innovatively (and helpfully) positioning them within modernist and postmodernist epistemologies. In 2015, Susan published Reading Feminist Theory, a companion reader co-edited with Ashly Suzanne Patterson (Oxford University Press). Susan mentored several generations of Marxist and feminist students, providing gentle but formidable critiques. She was one of the “founding mothers” of the UNO Women’s Studies Program and the UNO Women’s Center. She also served as Interim Director of the UNO Women’s and Gender Studies Minor; Associate Chair and Chair of the Department of Sociology; and Chair of the American Sociological Association’s Race, Gender, and Class section. Susan was highly regarded as an excellent teacher and mentor for both students and colleagues at the University of New Orleans. 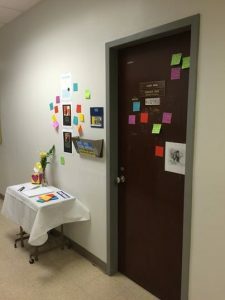 For her colleagues and the department she was a leader who not only brought treats to meetings and offered to help solve the most recent predicament (personal or academic), but also shared her deep analytical thinking and strong theory construction to improve others’ work. Regarding her students, Susan was an agent of social change and innovation. She received the campus-wide Seraphia Leyda teaching award and the teaching award bestowed by the College of Liberal Arts; in fact, she won every teaching award offered at UNO. Since her passing, hundreds of students have given testimonials of how her theory and gender classes were “life-changing”; those who knew Susan best know she would be happiest about this impact. Susan’s soft-spoken voice and affable personality belied her ability to offer pointed and cogent intellectual critiques but made her a favorite mentor to students for her approachability and warm encouragement. Though she enjoyed sailing, good food, and a strong drink, Susan loved nothing more than sharing an intellectual conversation with colleagues of all ages. She will be remembered for the contributions she made to her family, friends, students, colleagues, and to the larger academy. With special thanks to Sara Crawley, Gwen Sharp, Mike Grimes, Rachel Luft, and James Dickinson for bringing this tribute together.